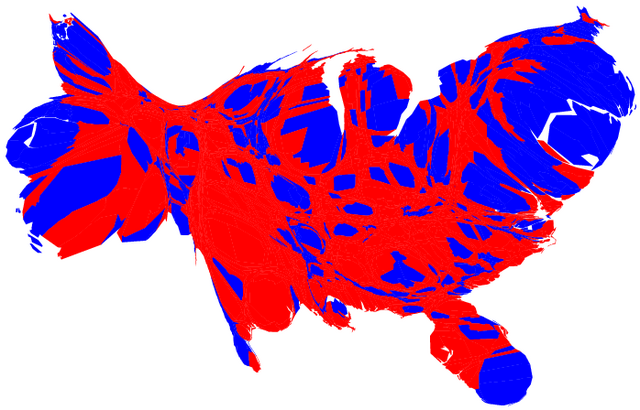 Some folks from the University of Michigan have been playing around with different election result maps. This cartogram shows the states sizes scaled to population AND additional colors to show percentages of voters per county. Which just goes to show that there aren’t just two sides. The states aren’t black and white and neither are people! These maps are from this website, http://www-personal.umich.edu/~mejn/election/ and are licensed under the Creative Commons License.